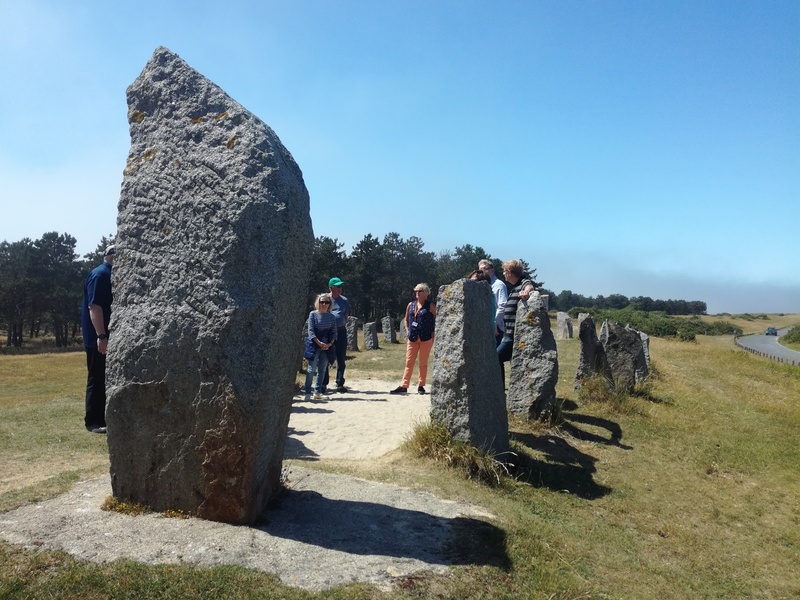 The Association’s June guided tour was at the beautiful Pointe d’Agon. A group of seventeen met at the very tip of Pointe d’Agon, on a warm and eerily misty afternoon. Pointe d’Agon is located where the River la Sienne meets the Atlantic, between Regnéville-sur-mer and Agon Coutainville. We all listened very intently to our French guide, Christine. Her passion for the area was obvious, as she had been visiting the area since she was 13, and had witnessed first hand the physical land changes to the area. Christine first spoke about the general Pointe d’Agon area. 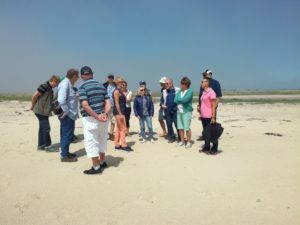 She explained that over time, slowly but surely the peninsula was growing larger year on year, as the tides deposited more and more sand and soil, enlarging the environment. We all found it incredible that the lighthouse and a nearby small wood had been at one time, the shoreline, but were now 2-300 yards from the water’s edge. We then walked from the car park meeting point across the sand and soil towards the sea. Unbelievable to think that the now fertile area, capable of growing a type of grass, once would have been covered by sea. The grass was flourishing, with some beginning to flower, with tiny violet coloured petals, and would be a beautiful sight, when all is in full bloom. More than four hundred species of plants have been listed, some of which support the transient immersion of seawater. In the dunes live a large variety of birds, who find an abundance of food in the immense mudflat and sandbars. 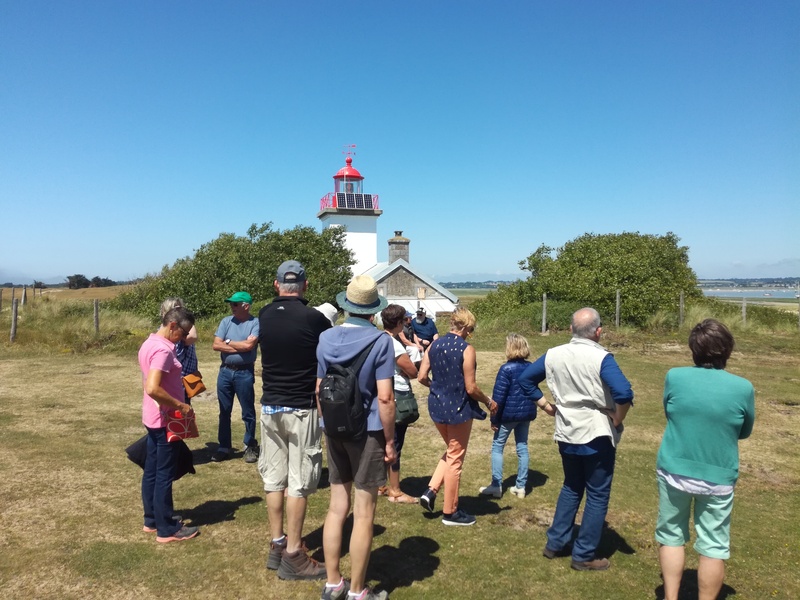 We then moved away from the grass beds and dunes, towards the lighthouse (le Phare). The lighthouse constructed in the mid 1800’s, was built following discussions with mariners and Captains, who argued that the location at Pointe d’Agon was better than it being situated at Montmartin, and had requested for a permanent caretaker to be housed in an attached cottage. The first light was powered by oil, and as technology improved, was powered by gas in 1946, then by electricity in 1969 and is today supported with solar paneling. The lighthouse was occupied until the 1980’s. Christine told the amusing story of the lady lighthouse keeper who in revenge for catching the postman “taking a leak” in her water supply, then subsequently placed an order for a daily newspaper to be delivered to the lighthouse by the naughty postman. This was not an easy delivery for the postman, as the route was from Regnéville-sur-mer to Pointe d’Agon via Pont de la Roque, quite some distance, back in the day! The lighthouse continues to alert boats, even though it is only 7 metres high. Away from the lighthouse, we then walked to the top of the sand dunes to a stone monument, in the shape of a Viking long ship. The monument was erected in the 1970’s, and is dedicated to the memory of Fenand Lechanteur. The stones are carved with runic characters. The main stones located at the stern and the bow of the ship, with minor stones carved with the initials of the donors down each side. 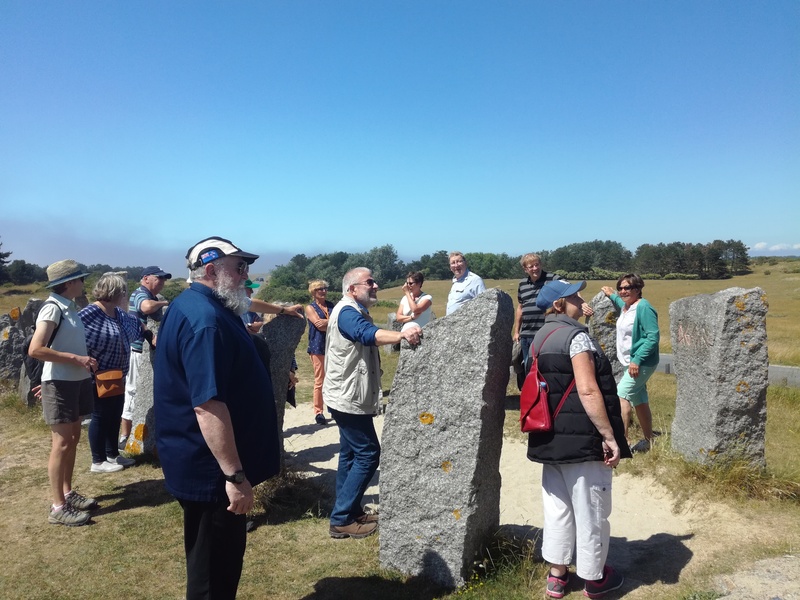 The monument pays tribute to his work as a dialectologist and in particular the link with Vikings and the region. We then returned to the meeting point and thanked Christine for the very interesting guided tour. 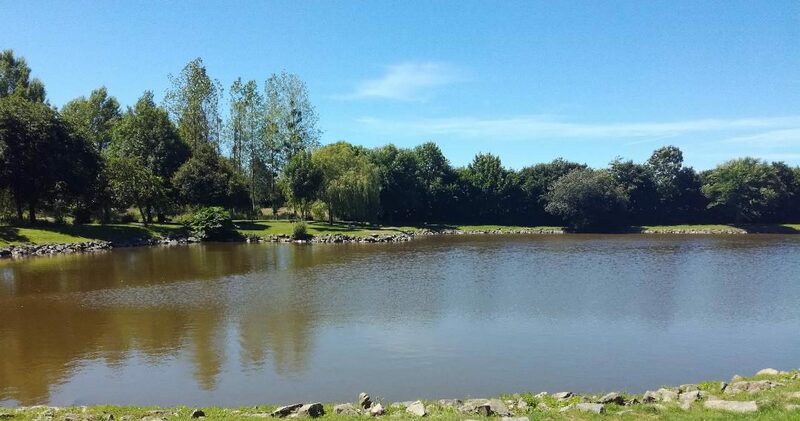 The peninsula is protected by La Manche Conseil General, so that people respect the environment, now and for future generations to enjoy.